The Design & Crafts Council of Ireland in association with Ceramics Ireland and Savour Kilkenny invited ceramicists from all over Ireland to donate a ‘Darkness Into Light’ bowl in aid of Pieta House for the 2018 Savour Kilkenny Festival. 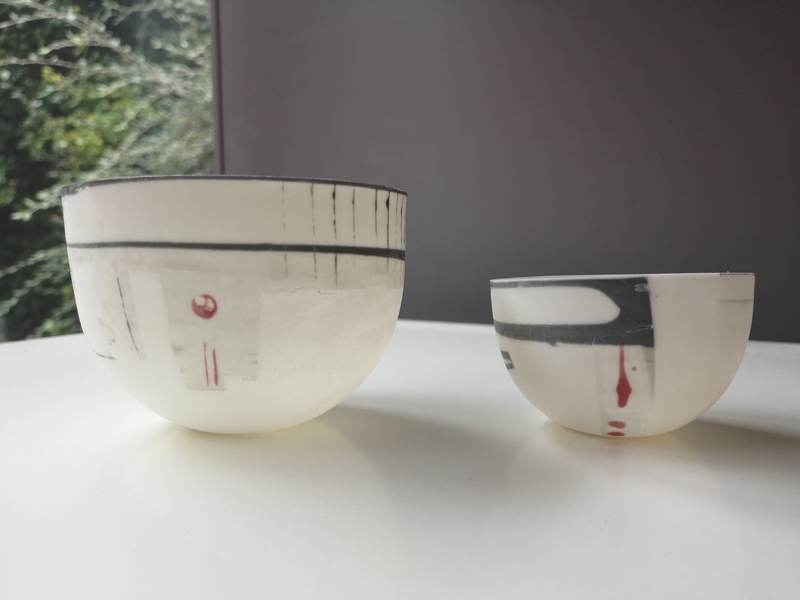 The Darkness Into Light Bowls Exhibition aims to help raise awareness of the mental health crisis in Ireland, demonstrating that how something appears on the outside doesn’t necessarily reflect the truth within. Since Darkness Into Light, Pieta House’s flagship awareness walk/run, began in 2009 it has grown into a global movement against suicide. Pieta House tackles the issues of suicide and self-harm day after day, issues that have touched every community in Ireland. Funds raised by Darkness Into Light help to keep Pieta House counselling services free to those in suicidal crisis, people who engage in self-harm, and those bereaved by suicide. Local auctioneer Ed Donohoe will yield the highest bid for each bowl, with all proceeds going to Pieta House.